Since its launch in 2009 CloudSigma has been building a global network of cloud locations. This year we celebrate the launch of the company’s second Swiss cloud platform in the highly secure data center of Safe Host 2 (SH2) in Gland. The flexibility, adaptability and unparalleled performance of the CloudSigma platform find an ideal home at the highly secure data center of SH2, Switzerland’s largest state-of-the-art, carrier-neutral data center colocation facility. CloudSigma’s second Swiss location lives up to the quality and standards of all existing CloudSigma clouds. Customers are in control of their deployment down to the very last detail. In particular, they can combine CPU, RAM, storage, and bandwidth in a granular way per their specific requirements. Moreover, the scalability of the platform lets users adjust their computing needs elastically over time. Our new cloud offers a combination of CloudSigma’s world-class cloud services with the benefits of SH2’s innovative data center and local support. For example, user data is stored securely on servers operated by CloudSigma AG (a Swiss company), located in dedicated rackspace under the legal jurisdiction of Switzerland. Further, we offer the perfect legal framework to run your cloud computing infrastructure under purely Swiss laws. Moreover, the SH2 data center features state of the art technology and is protected against any failure by the full redundancy of all critical elements allowing concurrent maintainability. Located in the heart of Europe, the site compliments Safe Host’s Geneva facility that has been providing data hosting services to significant multinationals since 2002. Furthermore, it is situated on one of Europe’s main internet backbone routes, which allows for low latency connectivity. What’s more, one of the reasons that CloudSigma has chosen to partner with Safe Host is the data center’s commitment to improving the world we live in. We are proud that CloudSigma’s cloud runs on 100% locally produced green energy from hydroelectric power stations in the surrounding Swiss mountains. Safe Host has been using “Vitale Bleu” power from its Geneva provider, Services Industriels de Geneve (SIG) since 2003. The power provided is certified by TÜV (TUV Certificate SÜD EE01) as 100% hydropower. The certification guarantees that the power comes from renewable sources, a majority Swiss-based, including 25% local production. Thus, thanks to Safe Host’s commitments, emissions have been reduced to just 12.4 grams per kWh. That compares to 526.3 grams per kWh for power from standard sources. As a SIG Vitale Bleu power user, Safe Host also contributes to the development and modernization of hydraulic power installations in Switzerland. SH2 has a colocation capacity of 14,400 sqm with 40 MVA dual power feeds to site. This capacity meets the growing demand for companies to host their systems in Switzerland where they benefit from the country’s abundant hydropower and its robust legal framework supporting data protection. Also, CloudSigma’s recently launched integrated disaster recovery and other business continuity features, allowing customers to connect their applications to backend cloud storage and processing or mirror their cloud or physical infrastructure 1:1. Compared to traditional solutions that require complex set-ups and custom implementations, this new DRaaS feature is hypervisor and application independent and can be self-configured via the main WebApp. The new cloud location in Switzerland gives CloudSigma the opportunity to offer all services both with geo redundancy and under the Swiss data protection laws. 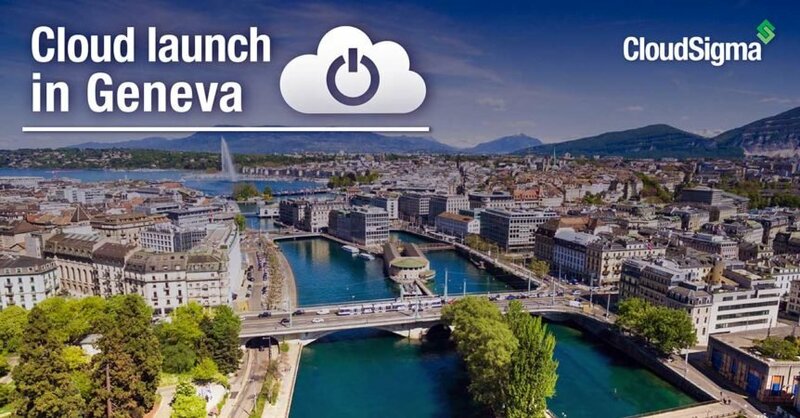 To summarize, the positioning of SH2 on one of Europe’s main internet backbone routes, close to Geneva, makes it a perfect choice for the deployment of all kinds of infrastructure scenarios – a standard customer deployment with lowest latency in the Geneva area, a mirrored cloud setup, backing up of users’ data, as well as the configuration of a disaster recovery hub of one’s infrastructure.